Graham Hancock's multi-million bestseller Fingerprints of the Gods remains an astonishing, deeply controversial, wide-ranging investigation of the mysteries of our past and the evidence for Earth's lost civilization. 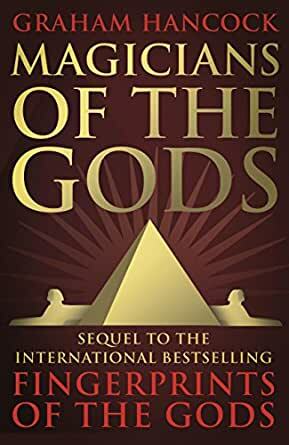 Twenty years on, Hancock returned with the sequel to his seminal work filled with completely new, scientific and archaeological evidence, which has only recently come to light. On the heels of the very successful hardcover edition, Hancock returns with this paperback version including two chapters brimming with recent reporting of fresh scientific advances (ranging from DNA to astrophysics) that substantially support the case. New archaeological evidence for a pre-historic civilisation.